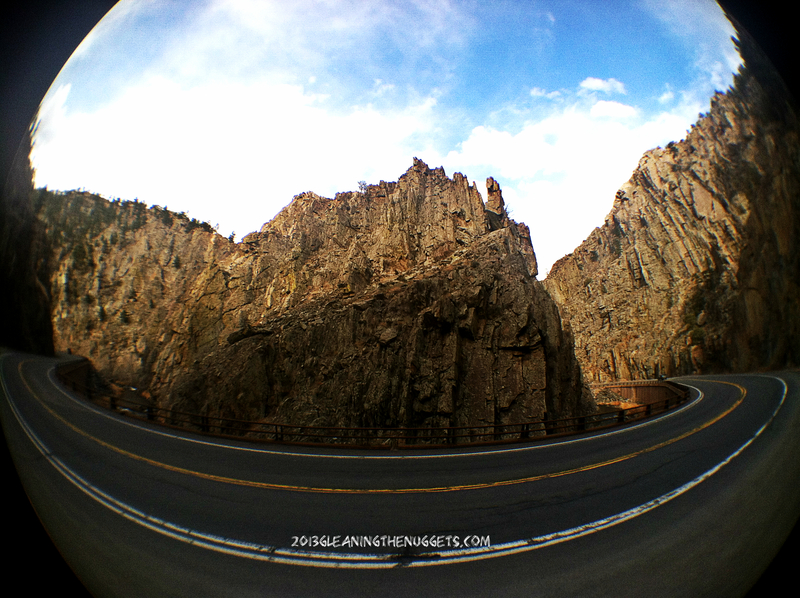 “The Narrows” is a famous section of the Colorado Big Thompson Canyon that narrowly twists and turns. Sometimes you cannot see the road ahead of you, all you see is mountains. Note the car on the far right for size perspective.